Shine the spotlight on your upcoming event with Abstract Lights Posters. 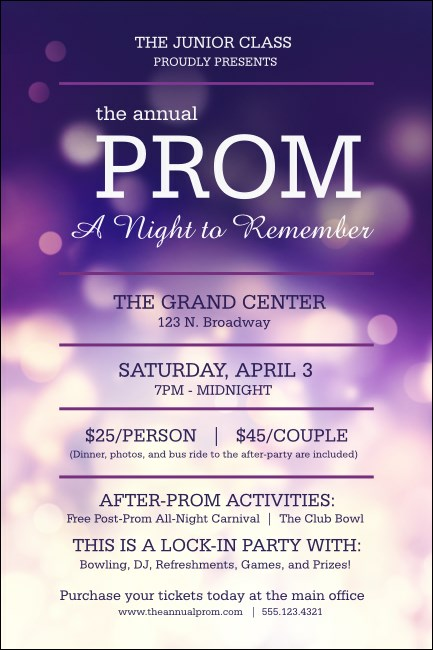 Designed for prom and other formal events, these Posters feature a glamorous purple background with shimmering lights. Customize up to seventeen lines of text on the template and remind everyone not to miss out on this once in a lifetime occasion. TicketPrinting.com helps you stay bright.